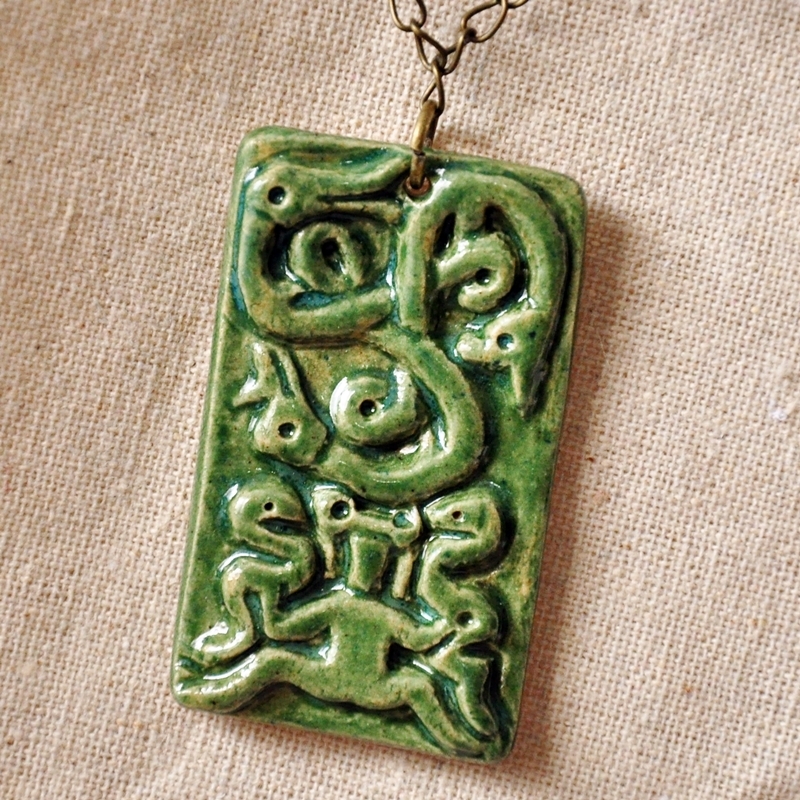 Glazed stoneware pendant, measures 2.25″ (5.7 cm) high. 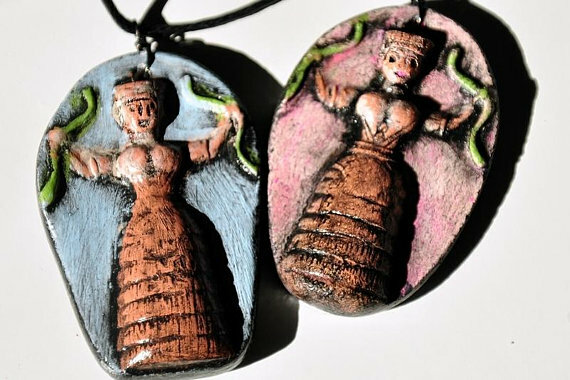 Available in several colors and can be purchased on either cotton cording or silver or antique bronze chains. (Click on the item title in order to personalize your purchase). Reproduced from the 4th century stone carving of a Norse Goddess who holds a serpent in each hand, posed in a birthing position. The triskele above her head is composed of the three animals symbolizing the Celtic domains of existence: The boar, represents the earth; the snake, water, and the bird, represents the sky. Hand-painted in the colours of your choice. 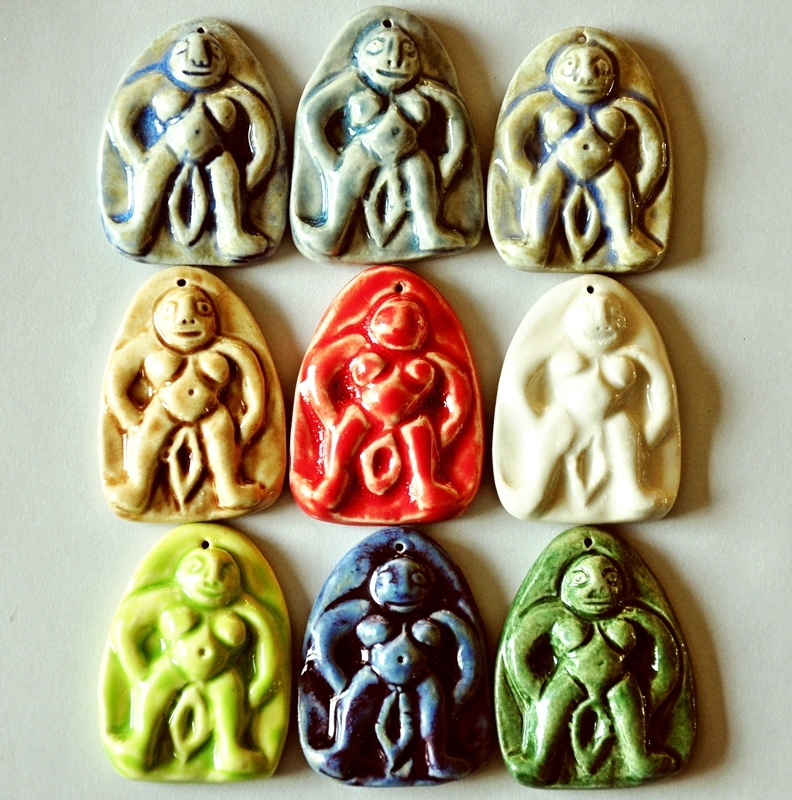 Sculpted with care, then pit-fired, giving each one a unique coloring, in varying shades of tan and grey. It has the look of having been discovered deep within mother earth. Measures approx. 2″. Strong on a cotton cord. Length is adjustable. 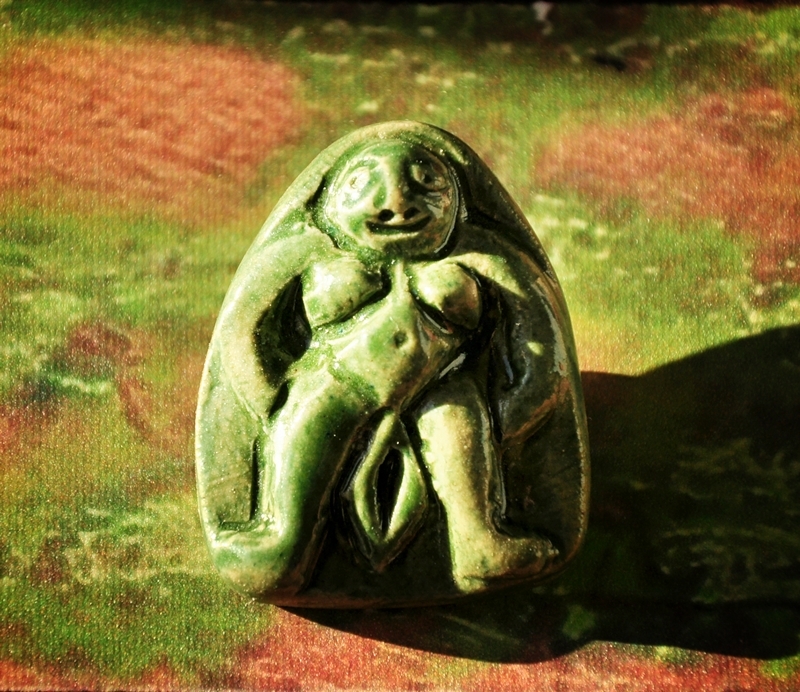 “Sheela na Gig” is a Celtic Fertility Symbol seen in various forms throughout the British Isles and the Norse world, but always in a squatting position, giving birth to new generations. Often found above doorways. 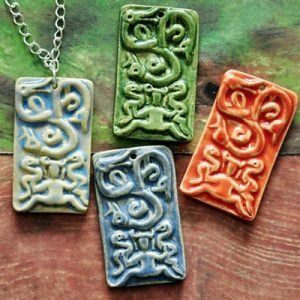 Made of stoneware, fired in the kiln then hand-painted with durable acrylic paint or glazed. 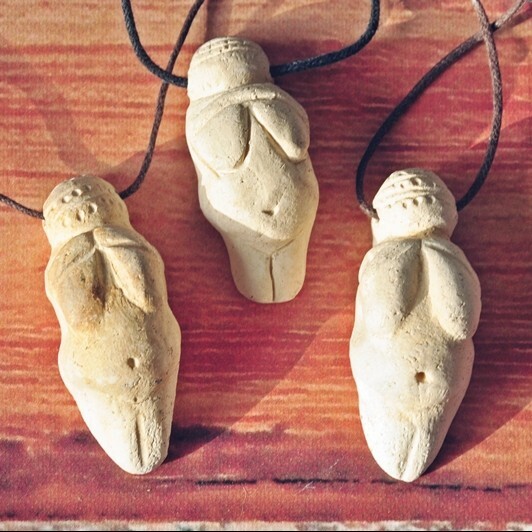 Measures approximately 1.5″ wide x 2″ high. Comes on a cotton cord with adjustable length. Celtic Fertility Symbol, seen in various forms throughout the British Isles and the Norse world, but always in a squatting position, giving birth to new generations. Hand-carved from artifact images. Made of stoneware, glazed or painted. Measures approximately 2″ high. Closeable pin is firmly affixed to the back.